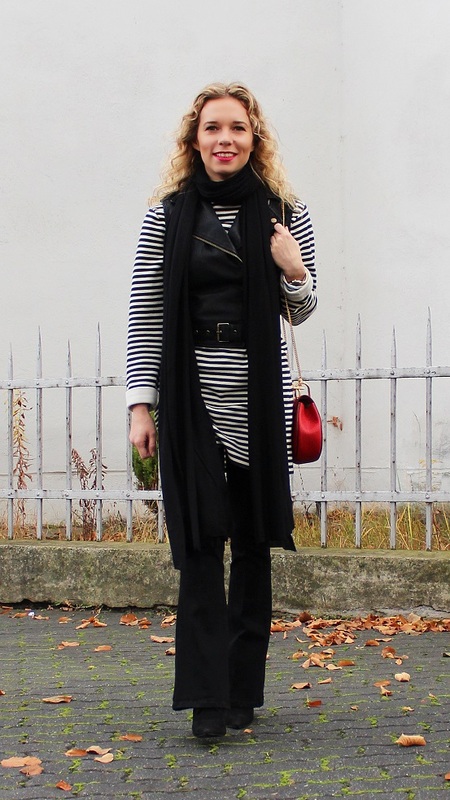 Michaela, this leather vest is so cool, and I love how you styled with Chloe bag here. So chic! Have a nice weekend! Love your flared pants!!! I can’t believe I haven’t gotten a pair yet. Also adore the pop of red with that cute crossbody amongst the monochromatic outfit. You look stunning! Loving the stripes, darling!